Alpine strawberry is a wild growing fruit. In nature, it can be seen growing in wood and grasslands and also as damp undergrowth. It is found all over from Europe to temperate Asia. It also grows in North America and temperate areas of Chile. 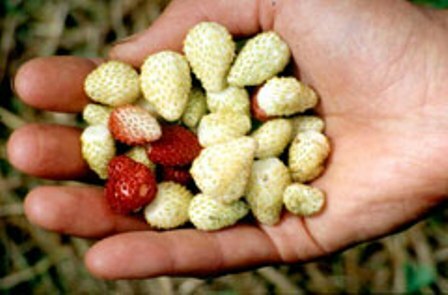 It bears small very tasty strawberry like fruits which are smaller in size than the cultivated strawberries. A small herbaceous perennial, semi-evergreen plant, usually 10-25 cm high, spreading out up to 30 cm. Fruits white initially; white or red at ripening, 1.5 cm wide. Fruits, though small in size, are sweet, succulent and have an exquisite taste. 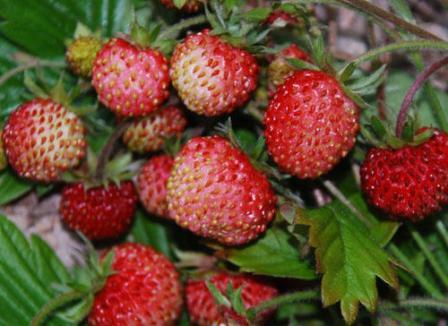 Many people are of the view that fruits of Alpine strawberry taste better than those of common cultivated strawberry. have a better taste than the common cultivated strawberry. 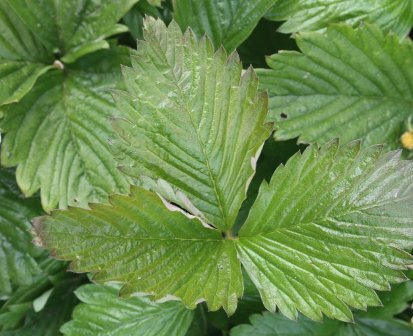 The young leaves of this wild growing fruit are also eaten. These are added to salads or used as a pot herb. The leaves, fresh as well as dried, are used as a tea substitute. This tea is said to have many useful medicinal properties and therefore used to treat a few ailments. Alpine strawberry plant roots are also reported to be used used as a substitute of coffee in some parts of the world. 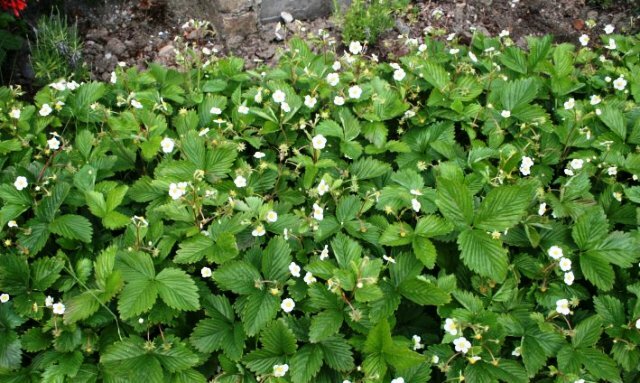 Alpine strawberry is basically a wild growing plant. But some fruity growers do cultivate it as a speciality fruit for luxury market. The plant seems to prefer sunny locations, rich and well drained soil. New plants are usually raised from seed which is sown in greenhouse in the beginning of spring. The seeds take around 4 weeks to germinate. Alpine strawberry has a quite long blooming season. The fruiting season therefore also extends long till the end of season. As the fruits have a short shelf life, so these can be sold in local markets only.